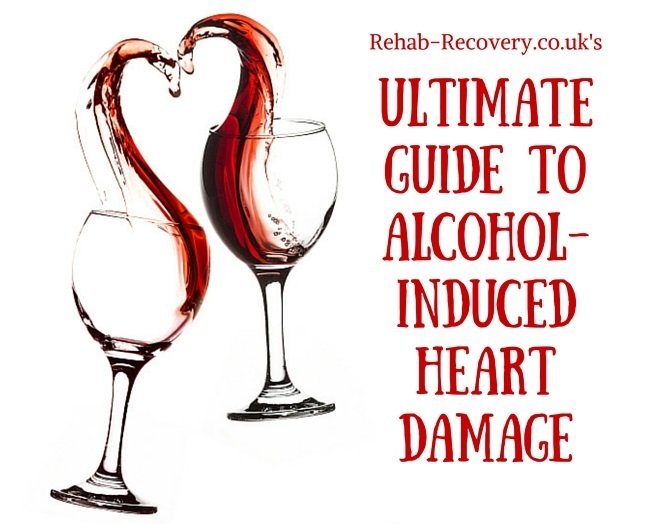 We were recently contacted by a writer for the UK-based website rehab.recovery.co.uk who brought an alarming article to our attention.Ultimate Guide to Alcohol-Induced Heart Damage offers easy to follow explanations of how excessive alcohol consumption can affect the human heart. The outward effects of alcoholism may go undiagnosed for years, but the impact on your body at a cellular level can be profound. While it is a concern for all demographics, ages, and populations, many young professionals may be falling into the trap of alcoholism without even knowing it. A quick look at popular culture today would lead us to think that if you have a difficult day at work or get into an argument with someone, the only remedy is to drink yourself into oblivion. Alcohol is used as a stress reliever instead of a healthy activity like going for a run. The next excuse will be that the weekend is here. Naturally, you owe it to yourself to celebrate by drinking excessively. This excuse has also been portrayed in countless films and television shows. Another time, your co-workers might be having drinks and they peer pressure you to switch from soda to something stronger. Eventually, you may find yourself going out for drinks multiple times a week and having a drink or two with dinner every night. The pattern is fuelled by what we see as the norm in popular culture; peer pressure and our yearning for acceptance; our fear of being different; a chemical reaction in your body that craves alcohol and requires it to feel any kind of emotion; or to numb yourself from the pain of the world – just like a drug. At CleanWorkout.com, want to promote living a healthy, balanced lifestyle, and encourage people to find their own confidence by feeling strong, eating well and being physically active. Part of this balance is being able to enjoy one or two drinks on social occasions, or even treating yourself to a glass of wine with a beautiful meal. In the bigger picture, however, we want our clients and our readers to feel secure in making their own decisions – they will not be swayed by what they see on television, nor do they care about the opinion of their coworkers if they choose not to partake in the “drinks” portion of a night out. Alcoholism is a serious, life-altering disease that can affect anyone. We strongly feel that genuine concern should be felt for young people and professionals whose lifestyles encourage regular drinking. Maybe it is the culture of the city in which you live; maybe it is what people in your office do; or maybe it is how your group of friends like to socialize. The problem is not enjoying one or two drinks, rather it is drinking heavily multiple times per week because it is what your work and social calendar dictate, and not having the self-control to go dry or limit yourself for some evenings out. If reading this has made you notice something about your own behaviour, try making small, healthy changes to your schedule that do not promote drinking. For example, if you had a stressful day, try hitting the gym hard. If you and your friends typically go out to a bar, try a group workout class or an activity. If your colleagues make fun of you for not having drinks with the group, leave the event. If the people around you are unsupportive of you being a healthy and sober version of yourself, you should not be associating with them. Do not let other peoples’ unhappiness and bad habits corrupt your morals and values – your mental and physical health are worth more than that. If those techniques do not work and if you or a friend is suffering from alcoholism, reach out to a centre or an advisor near you for help. Getting support and help with this disease will save lives. Thank you Paul from Rehab Recovery for bringing this article to our attention and prompting this important conversation.